First, you’ll be competing with more sellers. Buyers have more homes to choose from, which means you won’t attract as many who are interested in your property. Because of this, it might take you longer to find the right buyer and sell. Second, more sellers will have to adjust their prices or make investments to improve their homes in order to attract more buyers. Now more than ever, pricing your home correctly once you put it on the market is crucial to earning top dollar from its sale. Third, sellers will have to be more responsive and more respectful to any buyers who come along. Six months ago, selling a home was like fishing in a pool full of fish. It didn’t matter if you caught one but it slipped off the hook while you reeled it in, because there were plenty still left. Now it’s more like there’s only one fish floating in the pool, so if you manage to get it on the line, you need to make sure you reel it in. 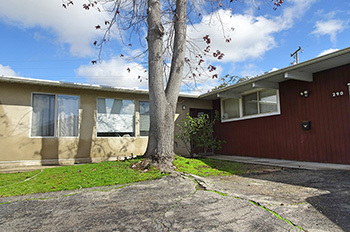 If you manage to snag a buyer, you’ll have to work very hard and possibly compromise in order to get that buyer to close escrow and complete the home sale. This situation may sound like a lot, but it’s simply a case of a normalizing market. What’s the upside of selling your home right now, though? First, most home sellers will need to buy another house once they sell their current one, so if you get a little bit less from your home sale, you’ll make up for it once you buy. If you plan on selling but you don’t plan on buying soon afterward and you’d rather rent instead, that’s fine too. Some experts are predicting that this shift will continue, so if you sell sooner, you’ll have more money in your pocket. If you’d like to know more about this shift and how it affects you, don’t hesitate to give me a call or shoot me an email. I’d be happy to help you. Our team had a very good month this past June, and the marketplace as a whole had a good month as well. Compared to June 2017, the number of sales increased 6%. Aside from an increase in sales activity and closings, there was also an increase in new escrows. This means that July and August should have relatively good numbers as well. Two noteworthy changes happened with the average days on market and the average price reduction for listed homes. Both of these numbers increased, which means homes are taking longer to sell and sellers are adjusting their prices more frequently to match what buyers are willing to pay, especially in the higher-end market above $1 million. These trends are not unique to our area. 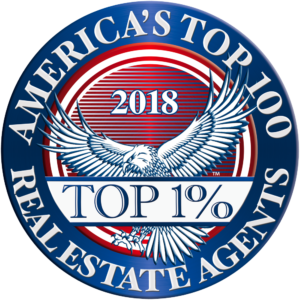 Every week I talk on the phone with top agents from around the state about what is happening in the market, and I have found that this situation is happening both statewide and nationwide. We can expect this jump in activity to continue throughout the summer. As always, if you have any questions about our market or are thinking about buying or selling a home, feel free to call or email me anytime. I would love to help you. The truth is that there is no reason to worry. Our market is simply beginning to slow down from the hot pace we saw up until just a few months ago. Since that time, we have seen a change in the amount of time homes spend on the market, as well as how listings are priced. To better illustrate this fact, let’s take a look at some recent market statistics. We currently have 20% more homes for sale than we did last year. However, we also have seen 12% fewer sales. And while we did see a flicker in this trend, with there being 25% more home sales this month over last month, it is evident that we are headed toward a buyer’s market. All of these conditions leave sellers with some important considerations to take into mind when strategizing their home sale. If you attempt to price your home based on listing trends from even just a couple of months ago, you are unlikely to see the same results as you would have at that time. A price that you and your agent think is fair may not seem so to a buyer. But, while offers are lower and coming in less frequently than what was true in the past, today’s sellers should not panic. Our market is simply balancing out, and listing successfully is still possible. So remember: When you do, at last, receive an offer on your listing, be sure to work closely with the buyer and be receptive to negotiation. Doing so will create a win-win situation for you and the person buying your home. If you have an other questions or would like more information, feel free to give me a call or send me an email. I look forward to hearing from you soon. Interest rates, in particular, have seen a significant increase since last year. This trend is expected to continue, but for now, rates are sitting in the high 4% range. And prices are also on the rise. Moving on to another area of change in our general market area, we’ve seen a 20% year-over-year increase in inventory. Sales, on the other hand, have dropped, going down 12% year over year. As a result of all of these factors, buyers are gaining more leverage. Of course, these statistics may vary slightly by location, and time will tell whether recent changes mark a true period of transition or just a blip in the market. The numbers we’re seeing right now are pretty consistent compared to this time last year. However, because our inventory is a little lower, we are seeing a lower sales volume this year compared to last year. That said, the average price for the month of February is significantly higher. I pulled a few areas that stood out. 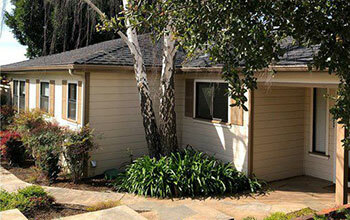 For example, in Morro Bay, the average price for the seven sales we had this February was $783,000. Last year during the same period, the average price was $605,000, so that’s a 29% jump in the average price. 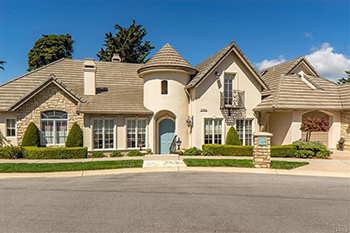 With seven home sales, you can have four high-end home sales, and that skews our average. So does that mean prices are up 29? No, that’s just one month. In general, though, we are seeing a pattern of increasing home prices and fewer sales. 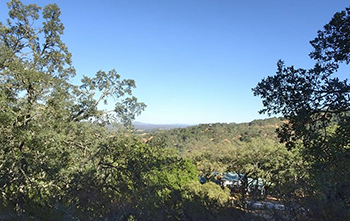 In Paso Robles, the average price in February 2017 was $415,000. This year, the average price was $493,000, resulting in an 18% jump. That is over a large volume of sales, with 27 home sales last year compared to 21 this year. Again, there has been a slight drop in sales and a slightly higher price. 2018 should continue to be a solid market similar to last year. One of the main differences to pay attention to is interest rates. At this time last year, rates were around 4% for a 30-year loan. Today, they have gone up to 4.4% or 4.5% for a conventional loan of $453,000. That’s not a life-changing difference year to year; it’s only an extra $100 or $110 a month. However, if interest rates continue to go up (which there is talk of), that could have an impact on affordability, which could affect the market and sales. In general, our market is on a steady climb. There aren’t many homes available, so now is a good time to sell your home or buy one to lock in a low interest rate. 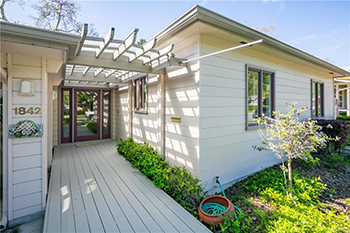 How Did the San Luis Obispo Market Do in January 2018? The market stats for January are in. How did the January 2018 market compare to the market in January 2017? In general, we have very low inventory. On average, inventory is down 5%. You have to be careful with averages, though. Someone once said, “If your feet are in the fire and your head is in the freezer, your average temperature might be okay, but does that reflect how you’re feeling?” Probably not. 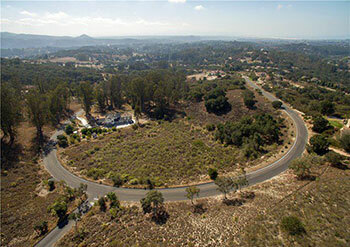 On average, active listings in San Luis Obispo are down by about 20%. 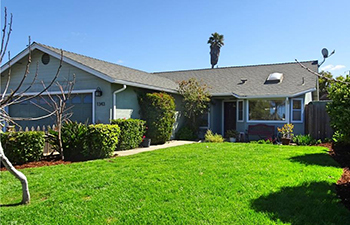 In Nipomo, active homes are up 47%, probably because they have had a lot of new inventory. That is an anomaly, but it does impact our average. 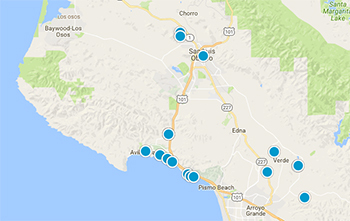 In Arroyo Grande, active inventory is down by about 25%, and even Avila Beach is down 50%. We do a lot of sales with our Blue Heron office, and the Avila Beach market doesn’t have much for sale, and it’s a small market. Sales are down as well, without a doubt due to the lack of inventory. If there were more properties to sell, there would be more sales. 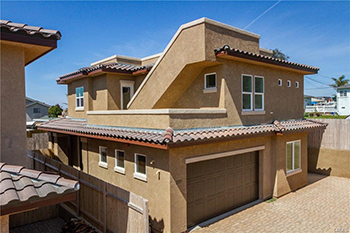 In Grover Beach, sales are down 60%. 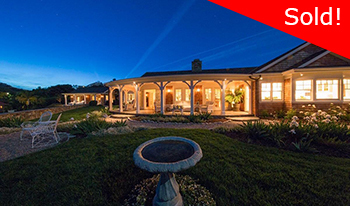 In Paso Robles, sales are down by 46%. If we had the homes on the market, there would be more sales. Although inventory and sales are down, it varies depending on which area and price range you are in. If you have any questions about your specific area, just give me a call or send me an email. I’d be happy to help you. 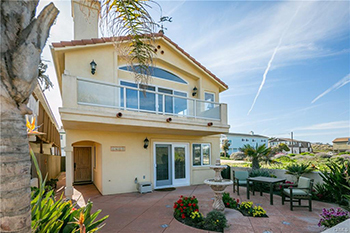 Enjoy panoramic ocean views from the front deck and living room of this stunning custom home. Beautifully designed Artesian glass front door sets the dramatic tone to the entrance into the luxurious living room with adobe style fireplace, custom built-in shelving and large picture windows to take in the ocean views. Formal dining area opens to the kitchen featuring breakfast bar seating, custom inlaid slate counters and French door access to a lovely patio with morning sun exposure, ideal for sitting and enjoying that first cup of coffee. Extensive slate stonework, travertine tile and hardwood floors are featured throughout. 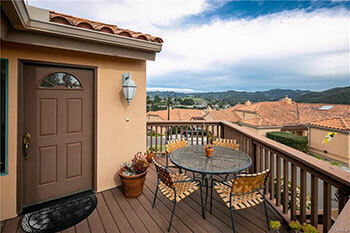 Great upper bonus room with 360 degree views and offers so much potential for possible expansion. 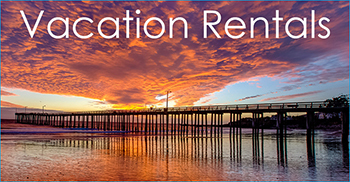 Licensed as a vacation rental, adds additional value and income potential. Don't miss this great opportunity! 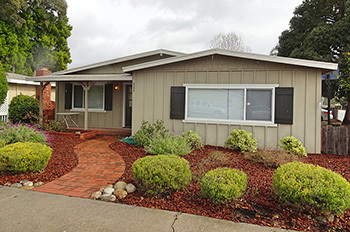 Call us now on (805) 781-3750 to arrange your viewing. 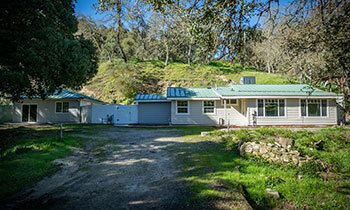 New San Luis Bay listing. 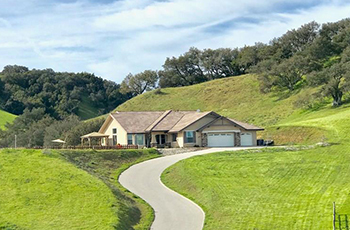 Located within the gates of Edna Valley Ranch with spectacular views of the surrounding vineyard and oak studded hills, this well-appointed single level custom home is nestled on 1.3 acres surrounded by more than 1600 acres of dedicated open space. 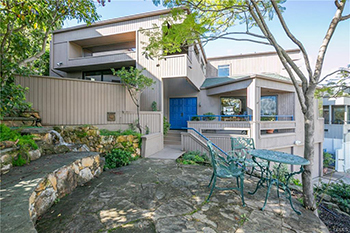 Architect designed, the home features 4737 sq.ft. of living space with 4 bedrooms, 4.5 baths, and a private master wing with a separate office and bath which could be converted into a 5th bedroom. Stunning gallery entrance leads to the formal living room with slate floors, a fireplace and sliding glass door access to the private patio and yard. Beautifully landscaped grounds. One of the big concerns people had while the bill was being written was that you could no longer do a 1031 exchange on an investment property. 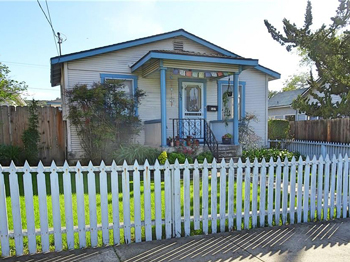 A 1031 exchange allows you to sell a non-owner occupied investment property and roll all the proceeds into another investment property without paying any taxes. They did make some changes to the 1031 exchange, but those changes don’t affect real estate, so that is good news. They were also talking about reducing the deductible amount of interest on the size of your loan from $1 million to $500,000. Ultimately, they agreed on a $750,000 cap. From December 15, 2017 onward, if you take out a loan for over $750,000, only the interest on the first $750,000 will be deductible. If you have a $1 million loan right now, that has been grandfathered in. You will get the full deduction, even if you refinance the loan. That will have an impact on the upper end of the market, as will some of the deductions we lose for state taxes. The home equity line of credit has lost its deductible interest. If you have a home equity line of credit and you’re paying interest on that, check with your accountant, but I’m pretty sure that is no longer a deductible item. In general, these changes won’t have a huge impact on our local real estate market, although it will have a bigger impact here in California than in areas like Arizona or Kentucky, where housing is cheaper. Going forward, there is a possibility of interest rates increasing from around 4% to as high as 5%. 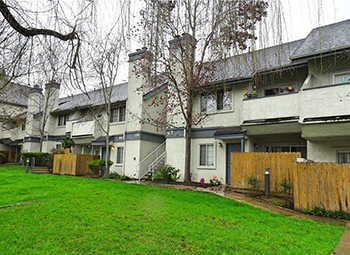 Prices will increase a little bit, and the market continues to be strong. There’s not as much concern about a bubble. If you plan on selling your house in this market, keep in mind that price is still important. Just because there’s no competition and your house is the only one on the market doesn’t mean you can overprice your home. Buyers will wait for another house to come along that has been priced fairly. All in all, the tax plan won’t have too big of an impact on our market, and 2018 looks like another strong year for real estate.